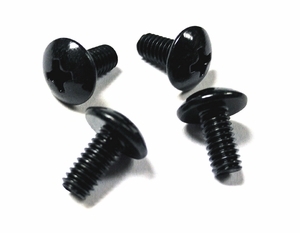 Replacement mounting screws for Sirius and SiriusXM vehicle docking cradles. These screws are used to attach a mount to the back of the vehicle docking cradle utilizing the universal 4-hole AMPS pattern. Genuine SiriusXM replacement part. Includes 4 screws.